Place pineapple rings in greased 9 x 13 inch pan. Place cherries or berries in the middle of each pineapple ring (optional). In food processor or mixer, combine honey and coconut oil. Mix eggs, one at a time, into honey and coconut oil mixture. Add yogurt, pineapple juice, and almond flavoring and mix well. Add almond flour, salt, and baking soda and combine thoroughly. Pour batter into pan with fruit. Bake at 350 degrees Fahrenheit for about 45 minutes. Cool and flip onto platter. Enjoy! 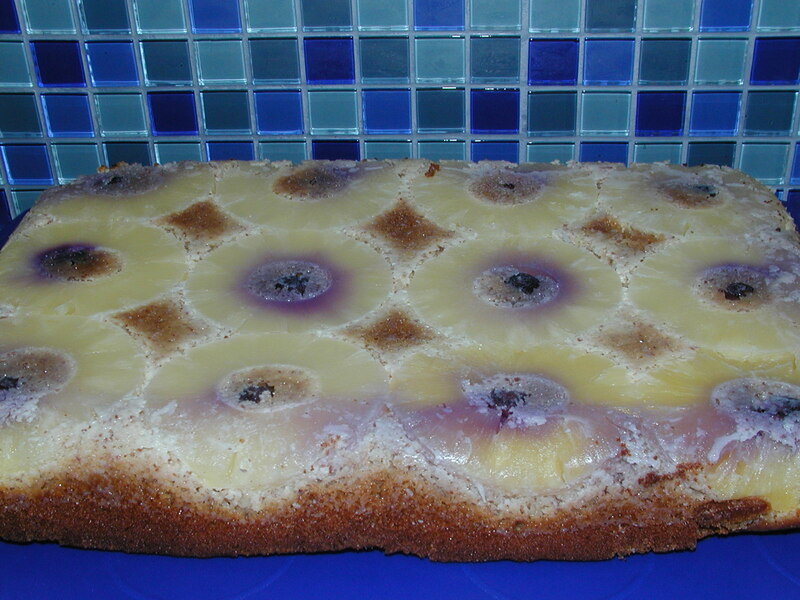 Note: Blueberries dot the pineapple rings in the picture.